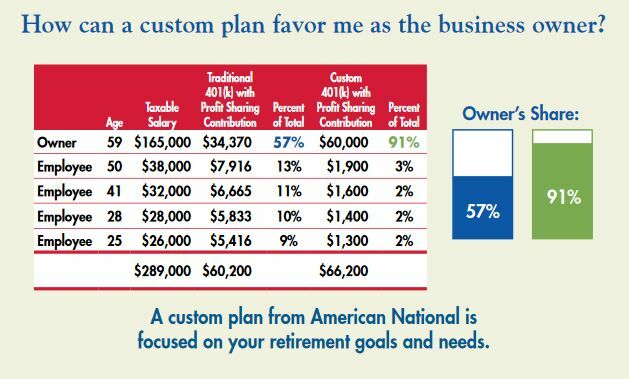 American National designs and supports all types of qualified plans. Key to making a 401(k) the plan of choice for a small business is providing a design that favors the owners and key employees of the sponsoring employer. Just one example of how a plan can be designed (or redesigned for businesses with an existing plan) is shown below. Let’s Get Started With Your Future Today!